Tag Archives: William Oscar Roome Jr. This entry was posted in Church of the Messiah (Richmond) and tagged Church News of the Diocese of Pennsylvania, Northeast Philadelphia, William Oscar Roome Jr. on July 11, 2016 by mjk38. 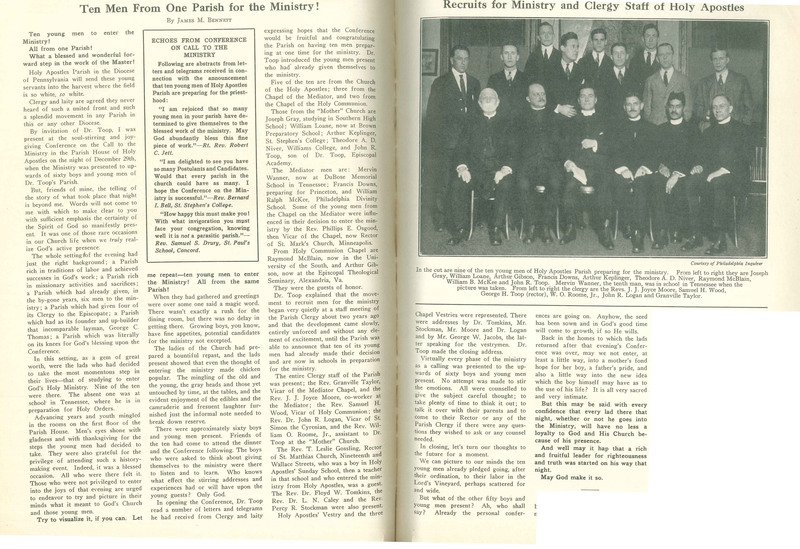 This entry was posted in Chapel of St. Simon the Cyrenian, Chapel of the Holy Communion, Chapel of the Mediator (West Philadelphia), Church of the Holy Apostles, Church of the Holy Apostles and the Mediator and tagged Arthur Gibson, Church News of the Diocese of Pennsylvania, Floyd W. Tomkins, Francis Downs, George H. Toop, Granville Taylor, John R. Logan, John R. Toop, Joseph Gray, Llewellyn N. Caley, Mervin Leo Wanner, Percy R. Stockman, Philips Endicott Osgood, Raymond McBlain, Samuel Hamill Wood, South Philadelphia, Theodore A. D. Niver, Thomas Leslie Gossling, West Philadelphia, William Loane, William Oscar Roome Jr., William Ralph McKee on December 25, 2015 by mjk38. 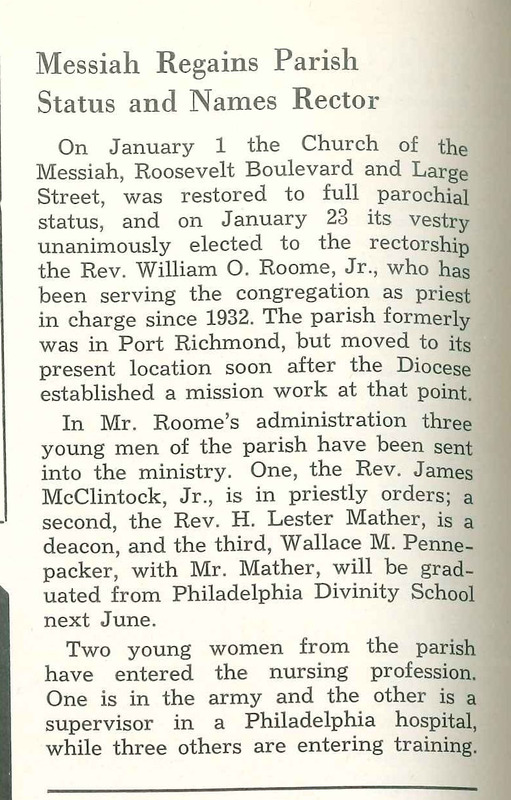 This entry was posted in Church of the Messiah (Oxford Circle), Church of the Messiah (Richmond), St. Matthew's Mission and tagged Church News of the Diocese of Pennsylvania, Northeast Philadelphia, William Oscar Roome Jr. on February 28, 2015 by mjk38.